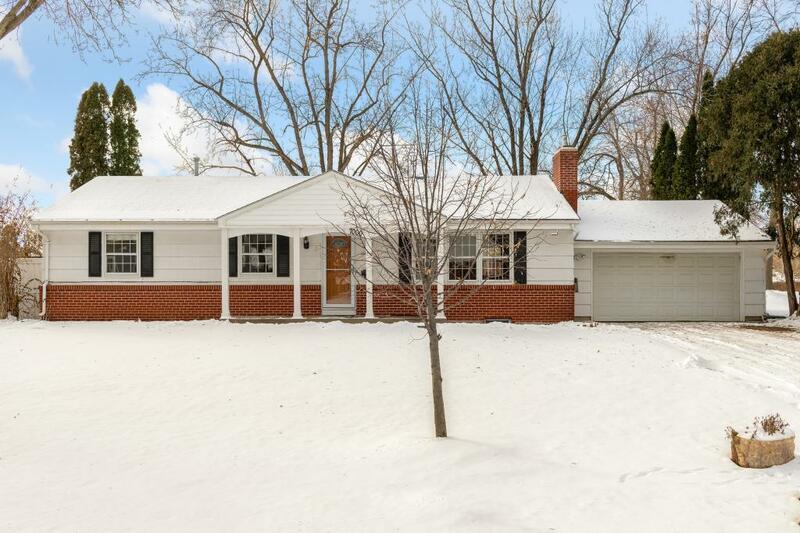 Your chance to own a solid Edina rambler on a beautiful .29-acre lot! A sunlit main floor features: 3 spacious bedrooms, private master half-bath, hardwood floors, & vaulted ceiling with charming wood-burning fireplace! Plus it's freshly painted throughout with a new gorgeous ceramic tile kitchen floor & new carpeting downstairs! The large yard with privacy fence is ideal for all your outdoor activities, entertaining, & pet needs. Come discover this affordable clean home that's Move-In ready!